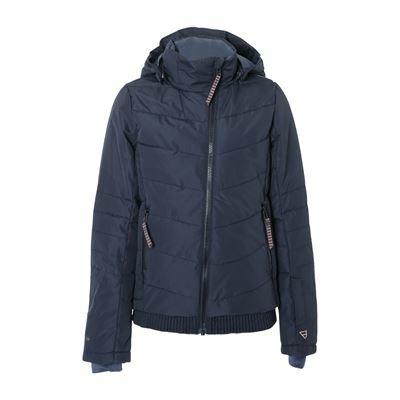 This jacket for girls is an item from the Fall-Winter 2018-2019 collection from Brunotti. 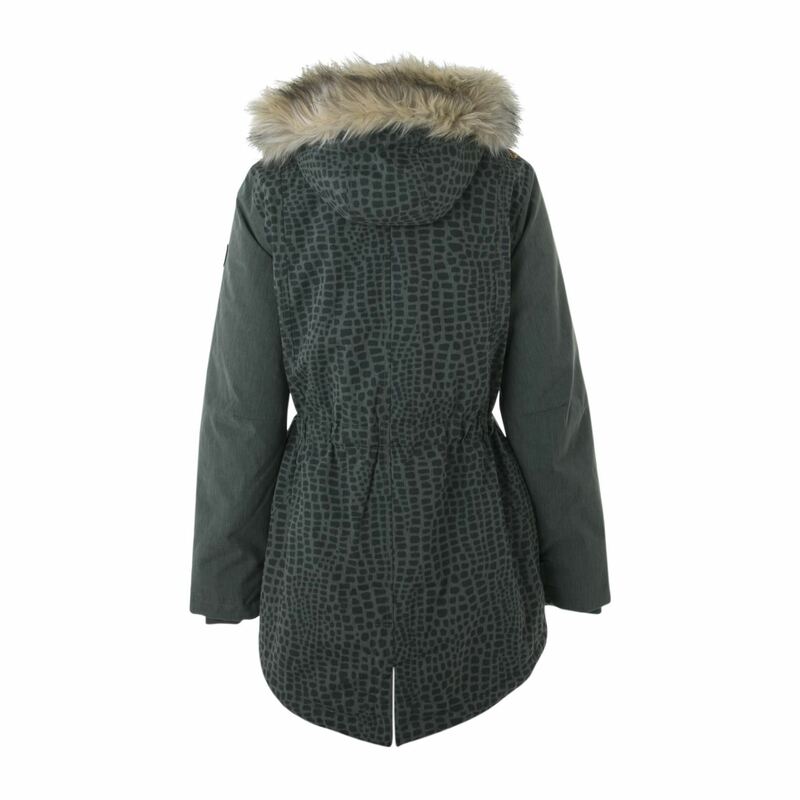 The jacket contains special Clo-i Univa padding. The unique fibre structure in this padding guarantees optimal sweat and body temperature regulation. 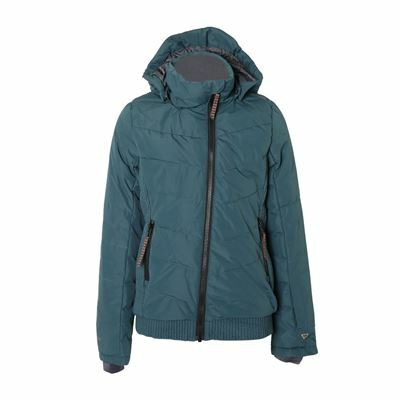 The comfortable, thin padding is lightweight and provides plenty of warmth. 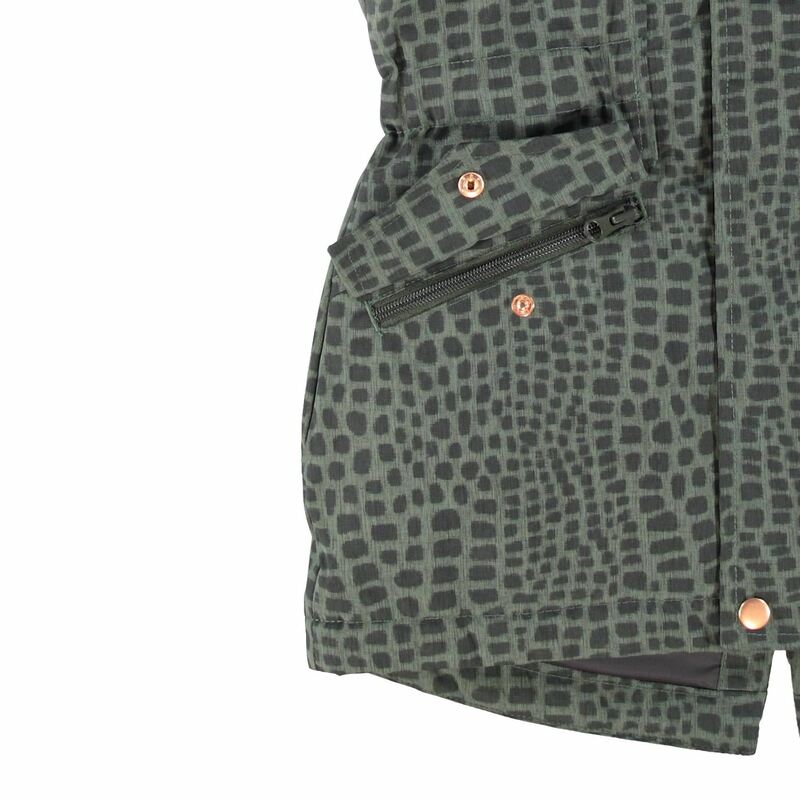 This jacket is part of our Sphere 08K series. This means that they are 8K waterproof and 5K breathable. 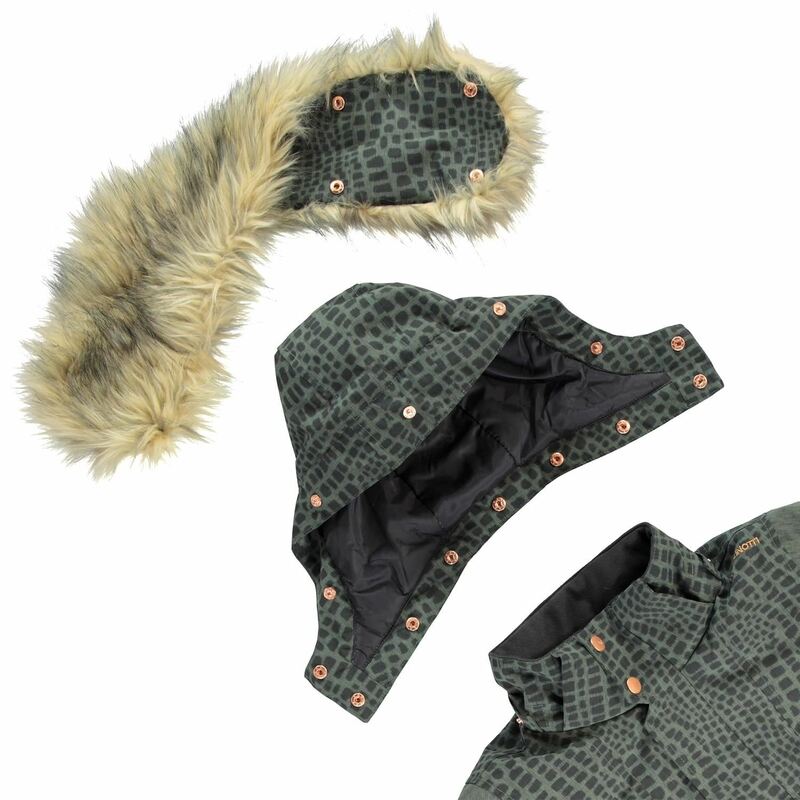 The faux fur on the hood is easily detachable. 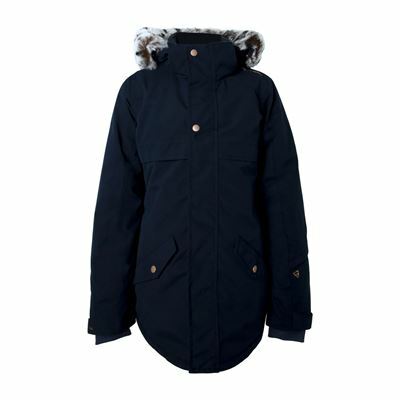 Combine this longer model with a matching snow pants and your outfit is complete. Protection of the chin through extra soft fabric. Special pocket for your ski lift ticket. Pre-shaped sleeves for a better fit & extra comfort. Partly elasticated waistband for more comfort. Snowcatcher attached to the inside of the jacket to prevent snow & water getting inside with anti-slip elastic & snapbutton closure. The main seams are taped and waterproof. 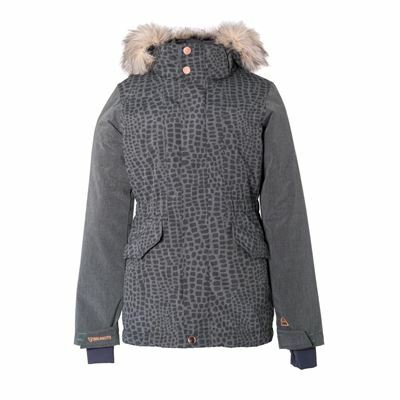 Lightweight Clo-i fibre ensures better moisture transportation, is waterproof and retains heat. Fabric is waterproof upto 8.000mm/H2O. The number of waterproofness indicates the amount of water pressure that a fabric can withstand without any water penetrating the fabric. Fabric is breathable upto 5.000g/m2/24hr. The number of permeability indicates the amount of water vapor that can pass through a 1m2 fabric section in 24 hours. This will keep you dry longer from the inside. It can also be indicated as MVP or breathability. To measure your waist, pull the measuring tape around the widest part of your chest. 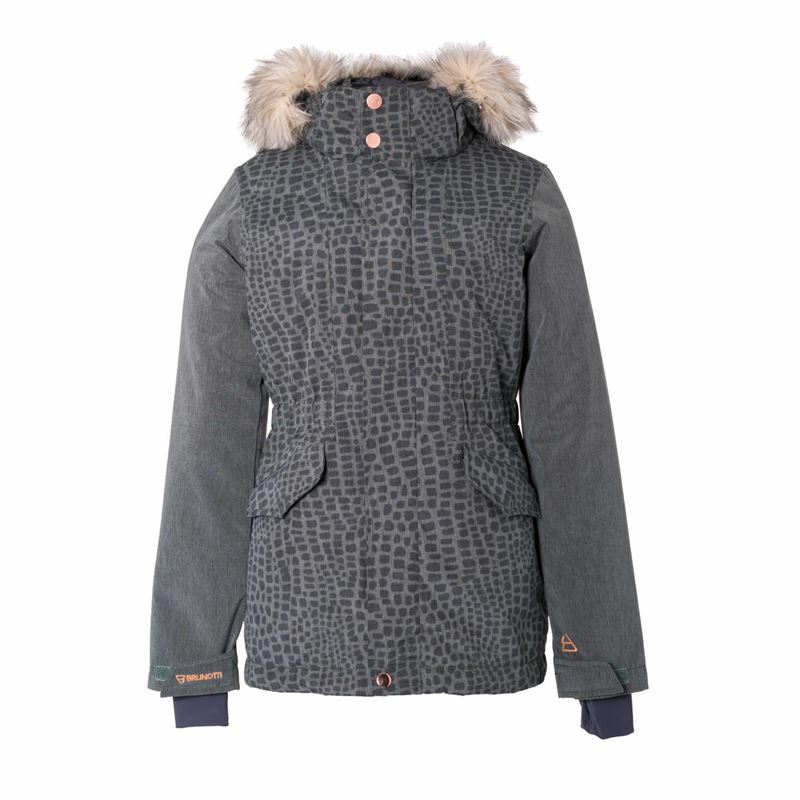 We cannot guarantee that the Chandra JR Girls Snowjacket will be restocked, We will keep your data on record for two months. If the specified product has not arrived within that period of time, we will notify you by email.